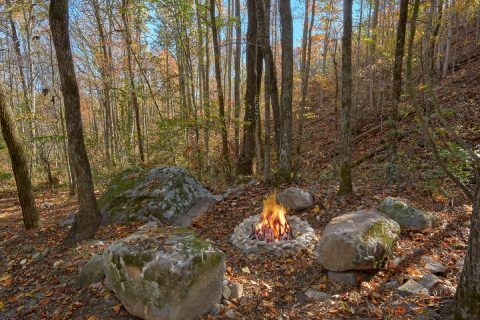 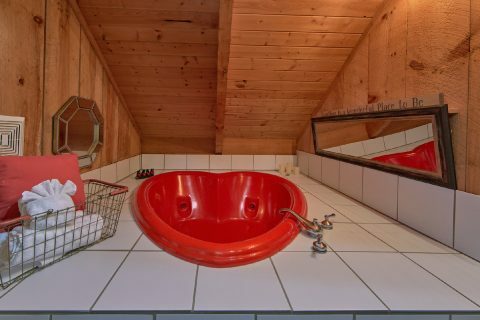 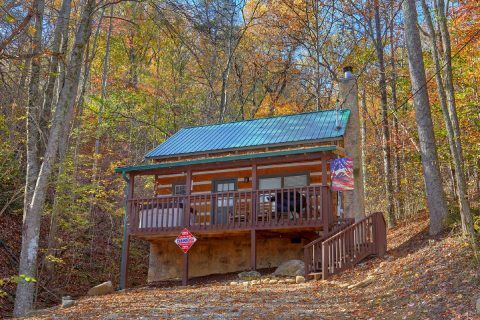 "Bare Tubbin" is a lovely 1 bedroom honeymoon cabin in the Smokies that comes complete with an outdoor fire pit, so you can enjoy romantic evenings underneath the Smoky Mountain night's sky with someone special. 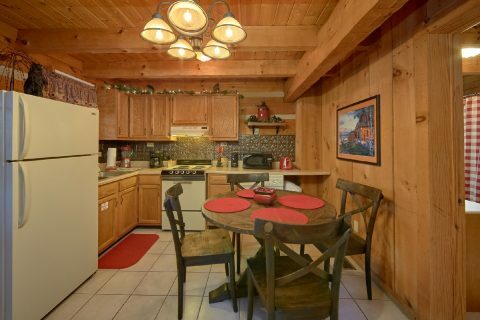 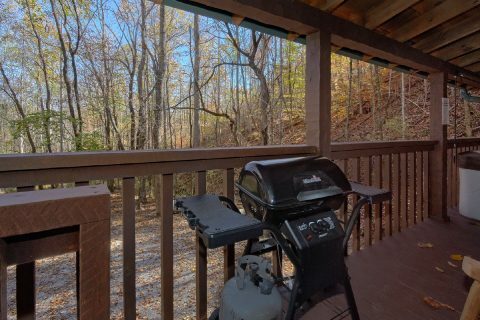 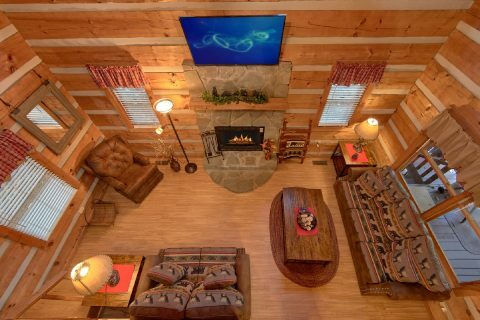 Not only does this cabin provide an outdoor fire pit area, but it also comes complete with a hot tub, heart-shaped jacuzzi, and it rests in a prime location for enjoying the Smokies. 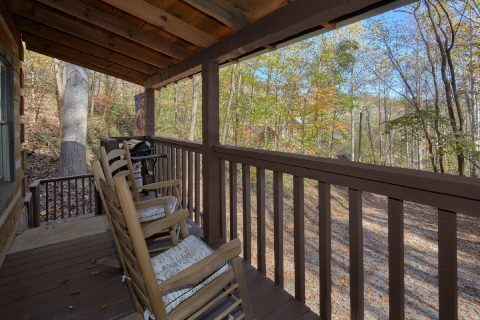 Located in the mountains near Pigeon Forge, this rental is only a 6-mile drive from the heart of Downtown Pigeon Forge where you'll find dozens of attractions and restaurants to explore. 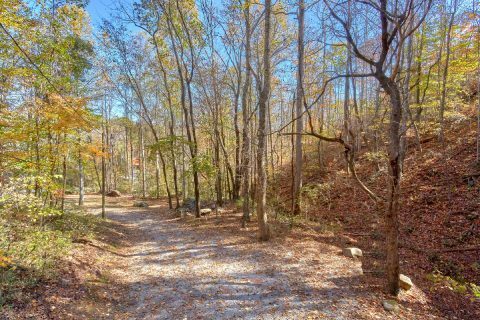 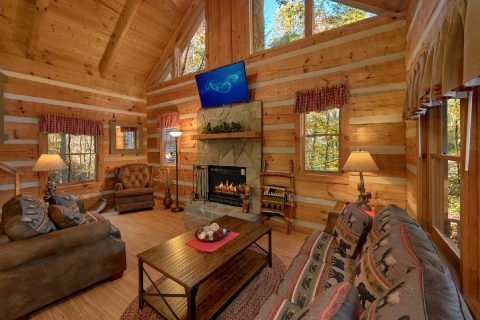 As an added perk, guests of this cabin can also reach other top local destinations like the Great Smoky Mountains National Park and Downtown Gatlinburg. 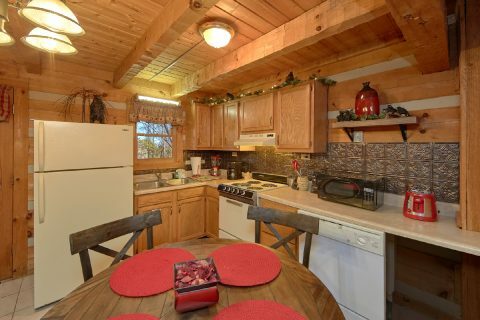 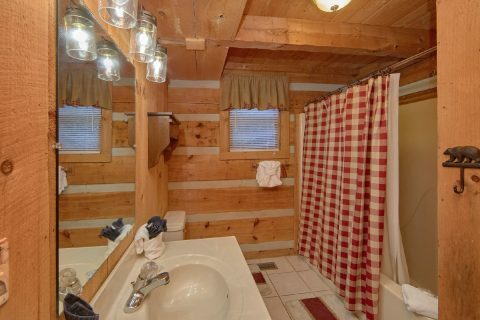 Back at your cabin, you can unwind with your sweetheart while you enjoy the warm water's of your cabin's outdoor hot tub or simply curl up by the fireplace in your rental's living room complete with a gas fireplace and 50" television. 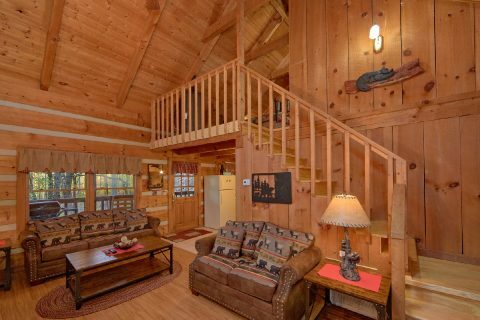 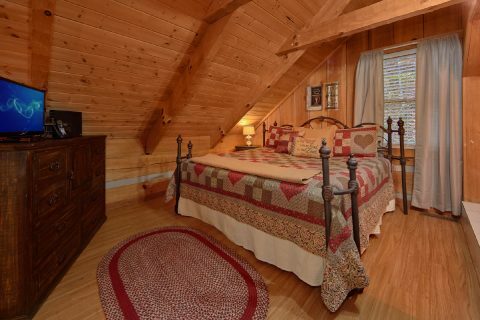 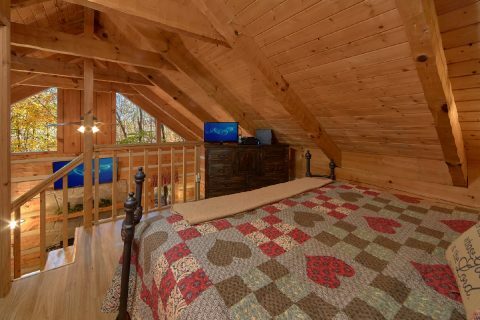 After a great day spent exploring the Smokies, you can look forward to getting plenty of rest in this cabin's king bedroom loft that comes complete with a flat-screen television and a heart-shaped jacuzzi tub. 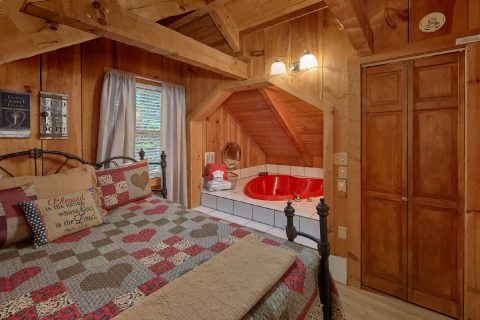 Additionally, "Bare Tubbin" features useful amenities like a full kitchen, gas grill, WiFi access, and a washer & dryer. 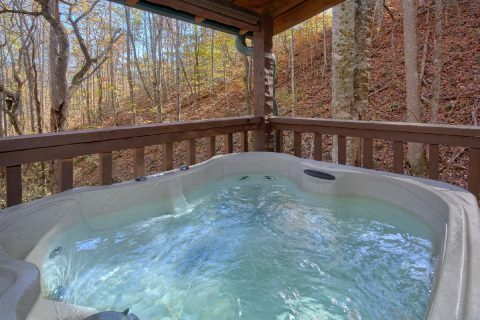 Book "Bare Tubbin" online today with Cabins USA Gatlinburg to save 15% on your nightly rate on this romantic cabin with a fire pit!